A brilliant second-half performance helped Bengaluru FC salvage a point against Kerala Blasters FC in an action-packed Hero Indian Super League clash at the Sree Kanteerava Stadium here on Wednesday. Chhetri went close again a few minutes later when he met Dimas Delgado’s cross from the right with a powerful first-time effort. Kerala goalkeeper Dheeraj Singh made a good save to deny the India international and keep Kerala’s two-goal lead intact. Bengaluru finally managed to carve the Kerala defence open in the 69th minute. 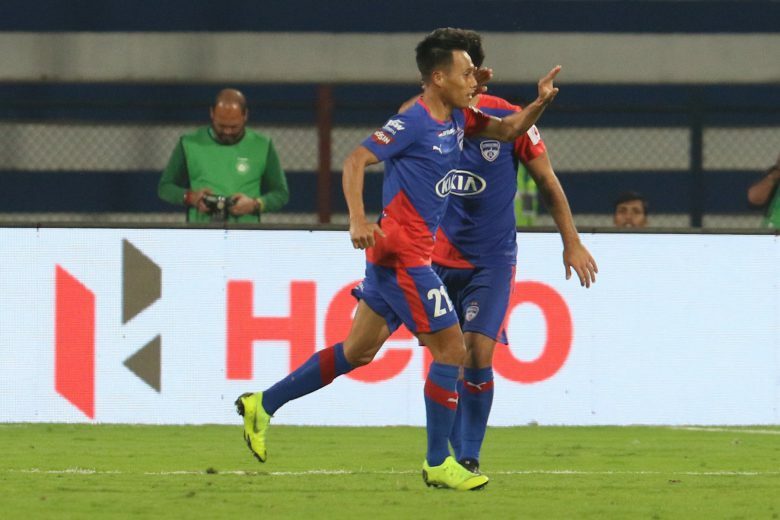 Chhetri headed Erik Paartalu’s lofted ball back across the box into the path of Udanta Singh who headed home, leaving the defenders rooted to the spot.